Are you using a compatible Topaz Signature Pad? Are you using a PC and Windows? Topaz will not work with Mac. We highly recommend using Google Chrome or Mozilla Firefox as your browser. Still having issues? You might need to re-install the Topaz drivers. Click on "Start" > "Windows Powershell" > Right click on "Powershell" > "Run as administrator"
After you uninstall, restart your computer before re-installing the Topaz software. If you could not successfully sign, then you are in luck! Follow the instructions in the image below. 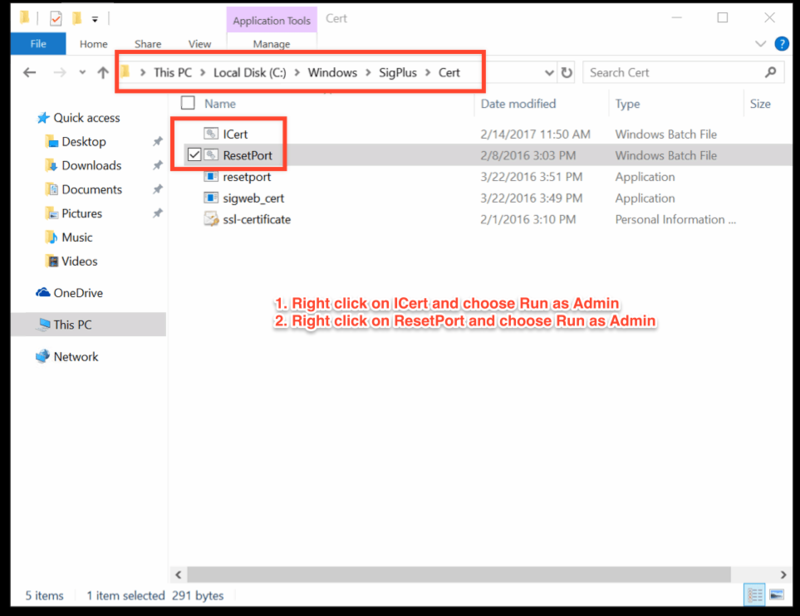 Once you are there, right click on "ICert" (Type is Windows Batch File) and choose Run as Administrator. A window will pop up and run then go away automatically. Next, right click on "ResetPort" (Type is Windows Batch File) and choose Run as Administrator. A window will pop up and run then go away automatically. If you successfully signed, then CharityTracker or Oasis Insight will now be fully functional! unplug your Topaz tablet, uninstall the driver, then restart your computer, then re-install the driver, then re-plug topaz, and finally do the topaz test.